Taiwan’s Fair Trade Commission has given the go-ahead for transportation card issuer EasyCard and the country’s five carriers to form a joint venture company to deliver NFC payments and ticketing services — provided the partners comply with a number of conditions designed to ensure a competitive environment is maintained. The Fair Trade Commission (FTC) has approved plans put forward by transportation card issuer EasyCard and mobile network operators Chunghwa Telecom, Taiwan Mobile, Asia Pacific Telecom, Vibo Telecom and FarEasTone to create a joint venture company to operate an NFC trusted service management (TSM) platform in Taiwan. The concept, the FTC has ruled, will provide a number of advantages — provided the joint venture is structured in a way that ensures no one partner dominates and all interested parties can participate. 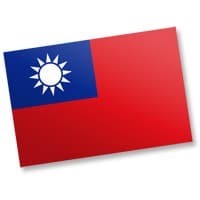 Advantages of the consortium approach include lower implementation costs and less wastage as well as benefits related to economies of scale and network effects, says the FTC, which is the government agency charged with maintaining a free and fair competitive environment in Taiwan. However, the commission has imposed 11 conditions on the new venture, designed to maintain a level playing field. These include terms that limit the stakes that individual partners may take, as well as terms that stipulate that the service should be open to competitor businesses and that participants should be free to buy, hold or dispose of shares in the venture. Additionally, the venture should treat all participants equally. The full announcement is available in Chinese here.